So, it has been a hot minute since we did the last blog post. 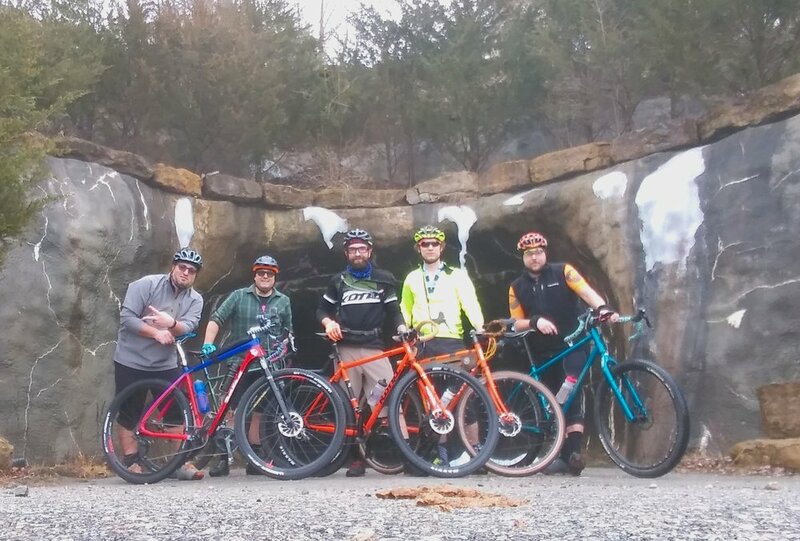 I’m hoping to bring this back to life and share our shop experiences with you as well as do some product reviews and talk about trends in the industry, etc..
We finally had some non-icy weather so some of us over at the shop decided to get out for a ride Sunday before we opened. It was a fun and casual multi-terrain ride from the shop on some killer bikes. We had a nice representation out there of custom bikes built around some of the spectacular brands that we carry (Kona, Salsa, Soma). We are really good at taking sweet stock bikes and making them better, cooler, and unique. I’ve recently set myself up with a Salsa Cutthroat and I want to share some of my experiences and thoughts on this rig with you guys. 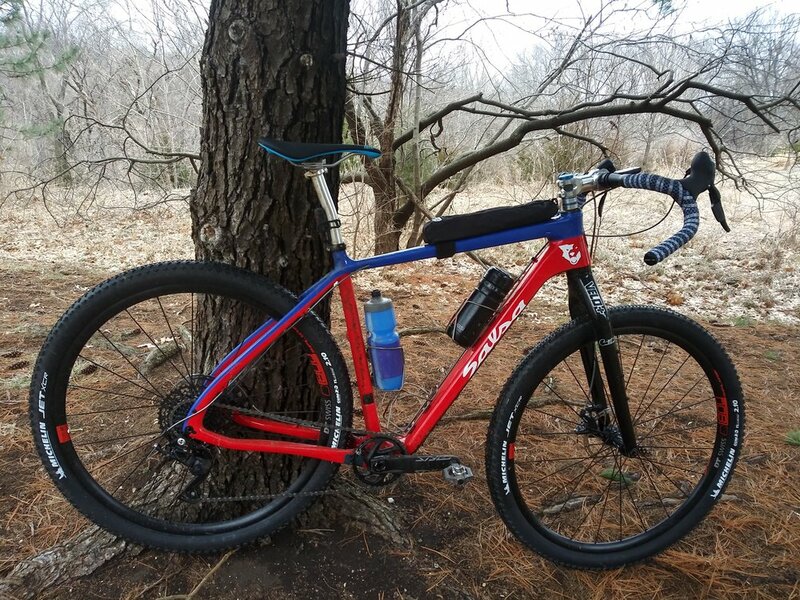 I plan on highlighting one of our bikes weekly on this blog so everyone can see just how much you can modify a stock bike and make it yours. So, if you know me, you know that I can’t leave a bike stock, no matter how nice it is! I recently picked up this Salsa Cutthroat Rival 1 and decided I wanted to try a few new-to-me products on it. The one that really caught my eye is the Microshift XCD 1x11 dropbar shifter system. This system is seriously versatile! You can run a drop bar shifter, and bar end shifter, a flat bar shifter, or a bar mounted thumb shifter. One derailleur, 4 shifter options!! The weight is comparable to other systems out there, but for the price there is no comparison. A complete Microshift 1x11 set up will run you less than $350. $70 for the rear derailleur and $200 for the shifter/brake levers. It comes with all of the cables and housings you need. The 11-46 cassette, YES I SAID 11-46, will set you back $76. Allright, so the price is right, how does it work? Well so far so good. I have put it through its paces and really like the way it performs. I’ve had it out in wet, cold, and generally gross conditions and it shifted with no issue every time. Like it competitors, it has a lockable clutch, and it is rebuildable! The shifters are very comfortable as well. The hoods have a nice shape to them that should be familiar to most riders. So in short, this group is light in weight and on the wallet and seems to work as well, and in some cases better, than some of the product the big 2 offer. The big selling point to me is the ability to run a 1x11 with a 46 tooth range. The shifter will work with 11 speed Shimano mountain derailleurs as well. Currently with Shimano you are limited to a 34t cassette and with Sram a 42t. So if you are looking for an affordable 1x setup that has a HUGE range check out the Microshift product. Salsa Cutthroat: In short, this bike rips! If you are in the game for a comfortable, do-it-all bike that can also go fast, look no further than the Salsa Cutthroat. Load it down with gear and go bike packing, race it at your next gravel event, go mountain biking on it. Ride it, race it, tour it! YES, YES, and YES. I was blown away with how well this bike transfers power through the frame while being one of the most compliant bikes I have ever ridden. The geometry of the Cutthroat sets you up so you can comfortably ride in the drops for long periods of time. This gives you a huge advantage in rough terrain. Whether you are ripping down a loose gravel decent at 30 mph or carving some local singletrack, the Cutthroat feels planted and comfortable at speed. Now, I have yet to load it down and do a bikepacking trip with it, but I assume it will do that well given that this bike came to existence to race the Tour Divide. The only other bike that I have ridden that gave me the confidence and fun factor of the Cutthroat is the Kona Libre. 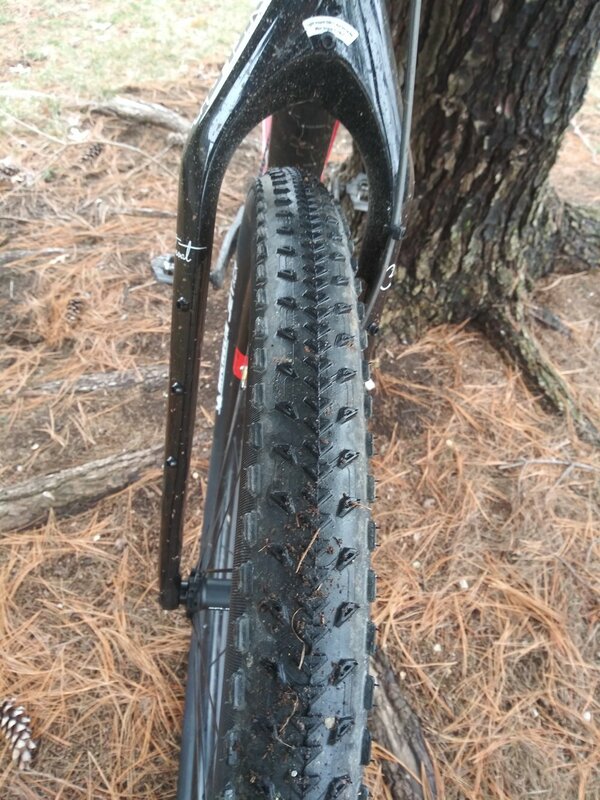 The Cutthroat rocks 29er tires and the Libre runs 650x47 or 700x45, and we have both brands at the shop! Speaking of tires, I love the Michelin Jet XCR for this type of bike. They are light, tubeless, 150 TPI, and roll great. The side knobs give them some crazy traction in the corners. The are pretty soft, so durability will suffer but they aren’t super expensive. Also, I love my Wolftooth B-RAD Pump bag. As a matter of fact, the B-RAD system in general is awesome! 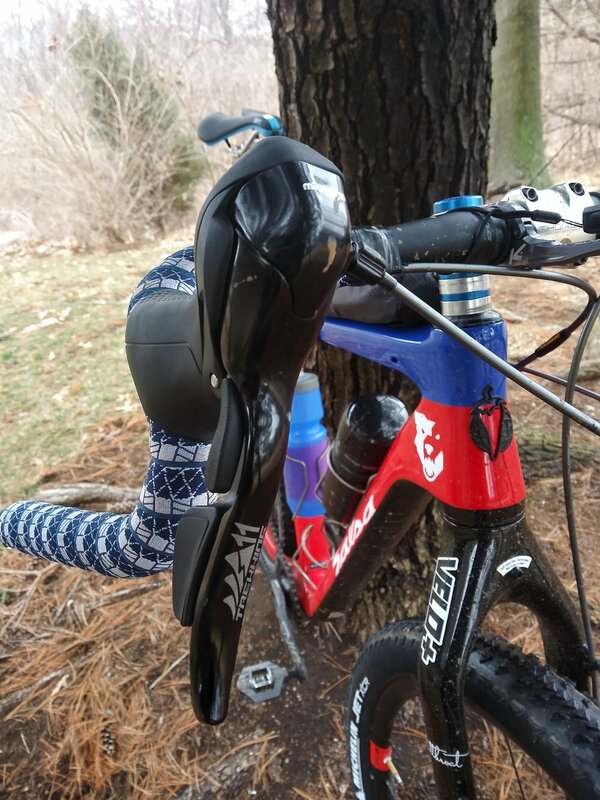 It can add versatility to any bike that has water bottle cage mounts. Come on by and see how. My bike lives at the shop, so feel free to come by and take a look at it and go for a spin. See if it fits all of your needs for your next adventure bike!